Even the highest-quality wood floors can take a beating over time, losing their rich luster through constant wear, developing scratches and stains. But SPARKLE Surface Care can fix all that. We understand that your hardwood flooring is a significant investment and deserves the very best workmanship and care. SPARKLE Surface Care is a National Wood Flooring Association (NWFA) Certified Wood Refinisher. We use the latest “dustless” technology and professional grade finishes to give you the look and lasting beauty you’re searching for. Whether you need to have your floors installed, maintained, repaired, or sealed, you can trust our knowledgeable team to get the job done right. 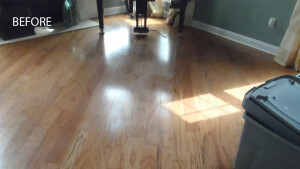 Why Have Your Wood Floors Sanded & Refinished? You can see dark watermarks, rings or black areas on the boards, say from plants, water leaks from leaky windows, appliance failure, or sink overflow, etc. If you have any of these issues, then the writing is on the wall… um… floor, actually. It’s time to sand and refinish! One of the things home and property owners hate most about getting their hardwood floors refinished is all the wood dust blowing everywhere. We hate that too. We use the latest “dustless” technology which, though not truly dustless, puts out far, far less dust than older, more traditional equipment. We also seal off the rooms to be worked on with plastic sheeting whenever possible to prevent what dust is generated from getting everywhere. Vents are removed, ducts are covered, and HEPA filtration is used. And, naturally, we clean up after ourselves. We do absolutely all we can to minimize the intrusion of dust on your home and property. SPARKLE Surface Care is committed to bringing safely formulated environmentally friendly products on board to assist us while working in your home, so we are thrilled to be able to offer a wood floor refinishing system that qualifies!!! Our system of choice is a “water-based” Poly Whey Finish that uses whey—a by-product of the cheese making industry with a low VOC finish—and is safer for your family, children & pets. This breakthrough technology gives us the opportunity to restore your floors without bringing harsh chemicals and strong VOC smells into your home and helps set us apart from our competitors (many of whom, sadly, couldn’t care less about whether the chemicals they bring into your home are actually safe). Make no mistake, though—we are in no way trading safety for effectiveness. This is an outstanding finishing system that is hard, durable, and stands up to family use. In fact, it is successfully being used in restaurants & bars, where it takes an even more serious beating than you, rover, and the kids can dish out! Please note: This is a service for “surface-finish-floors” only. Meaning the floor’s original finish is applied only to the top of the wood and does not penetrate deeply. 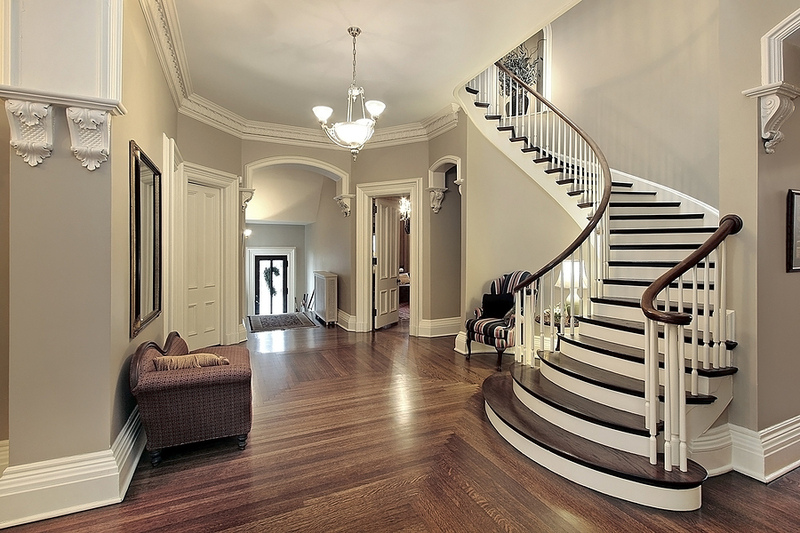 Because of ease of care, more than 90% of wood floors on today’s market use a surface finish. 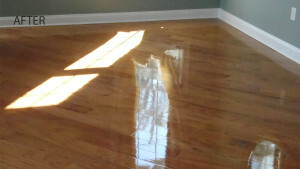 We have other services available for floors with penetrating finishes. New wood floors are brilliant and rich looking, but over time they become obscured by dust, soils, oils, air pollution, fertilizers, mop residue, and can even absorb moisture, germs and worse. This system is best suited for Engineered or “floating” floors, or to tidy up the floors when the house is being listed or rented. It may be just what the doctor ordered. The wood floors will be thoroughly vacuumed with equipment using HEPA filtration. It will next be scrubbed with wood floor scrubber, and or a weighted floor machine using nylon floor pads and a waterborne pH Neutral, non-toxic cleaner formulated specifically to clean all types of hardwood. Perhaps the floors are showing some minor battle scars, but nothing deep or radical. Perhaps the shine is obscured, and the finish appears “thin in areas”. Maybe you need some TLC on a budget or are readying the house to sell and need a little spiffing up without breaking the bank. The service is known as “screen & top coat” is ideal for the floor that is “lightly” used and in need of a little pick me up. Perhaps the shine is obscured or there are minor (I mean minor) surface scratches. This is ideal when the floor overall isn’t in bad shape, and also ideal when the budget is an issue. Also, whenever possible it is best especially if you are trying to sell the property, this will restore shine without the mess, hassle or expense of sanding. One note of caution– Your floor must be tested for compatibility. Should a polish or popular coating readily available have been applied to the floor, you will not have the option of this “in-between” service. Polishes & some coatings are not compatible with the poly coatings used. The coatings must be removed. Hence you have no choice but to resort to sand & refinish them. The screen & topcoat process entails us buffing up the floor with an abrasive pad (to scratch the surface finish), and after careful vacuuming & tacking the floor for dust, we apply an additional layer of finish. This will brighten, shine, obscure minor blemishes, but it will not address gouges, scratches thru the finish, remove pet stains or watermarks. Our team is committed to quality work and excellent customer service above all else. Our goal is to not just meet but exceed your expectations. No matter what type of hardwood flooring service you’re looking for, you can rest assured that we have the tools and skills to serve your needs. For a FREE estimate on hardwood refinishing services throughout the South New Jersey area, contact us online or call (609) 953-0472 today.